Cindy Crawford, comedians David Spade, Adam Sandler, Judd Apatow and Leslie Mann, musicians Eddie Vedder, Joan Jett and The Who, and many many more gathered in Los Angeles this week to support Teen Cancer America and the UCLA Autism Treatment Program. The event “Who Cares About The Next Generation,” featured food, drink, and a live and silent auction set in a casual, fun concert setting at a private home in the Pacific Palisades. Read on for what The Daily Mail had to say! They are parents to two teenage children, so naturally they care about the future. And Cindy Crawford and husband Rande Gerber displayed their charitable side on Tuesday when they attended the Who Cares About The Next Generation benefit in Pacific Palisades, CA. The evening was created to help fund UCLA’s programs for treating autism and cancer in young adults. Cindy layered a solid, black top under a matching blazer along with a skinny patterned scarf tied around her neck. The brunette stunner added a pair of skinny trousers and dark-coloured ankle boots, before accessorizing with a belt, watch, necklace and wrap scarf. The 50-year-old kept close to her husband of 18-years, who stylishly dressed in a dark button-up, bomber jacket and denim trousers. 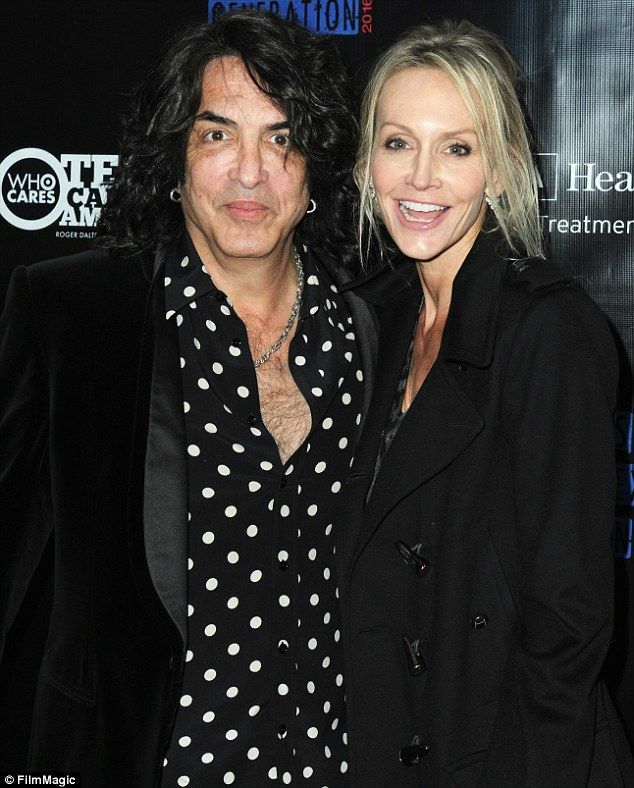 But Cindy and hubby Rande weren’t the only big-named stars at the event. Dustin Hoffman attended with son Jake, while David Spade and David Foster also stepped out. The blonde funnyman was joined by his frequent film co-star Adam Sandler, who chose his traditional attire of a T-shirt and athletic shorts. 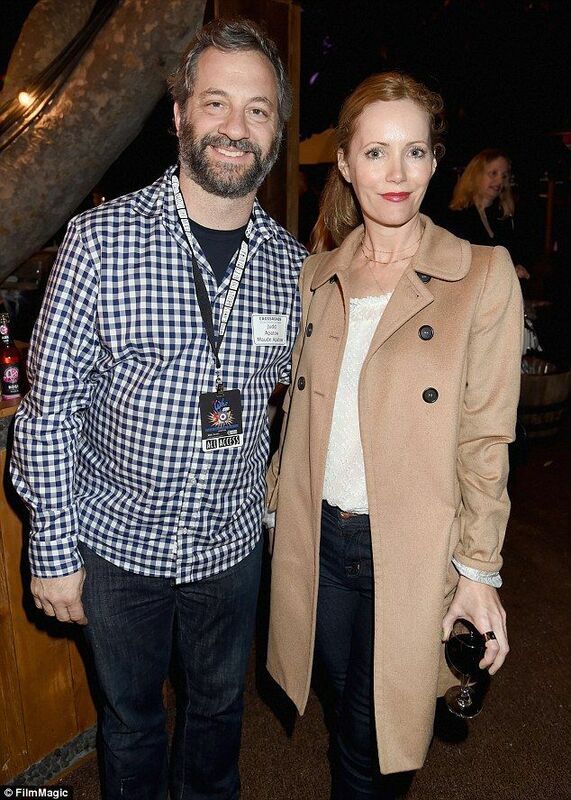 Producer Judd Apatow enjoyed an evening out with The Other Woman actress and wife Leslie Mann. Funnylady Judy Greer was also present, and rocked a white T-shirt and blazer look. 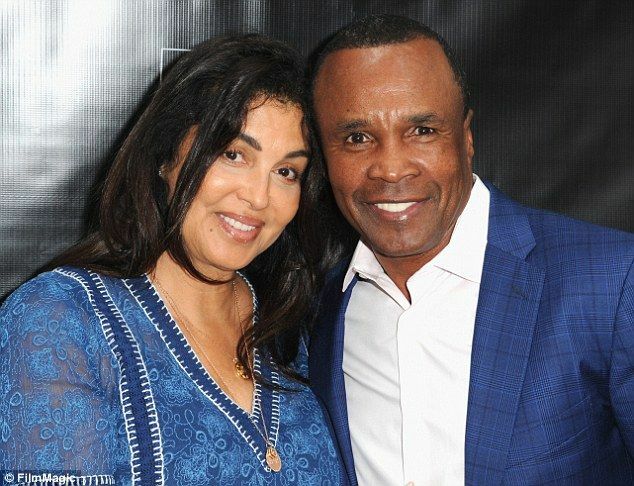 Former pro-boxer Sugar Ray Leonard, 60, and wife Bernadette chose coordinating blue ensembles for their charitable evening out. 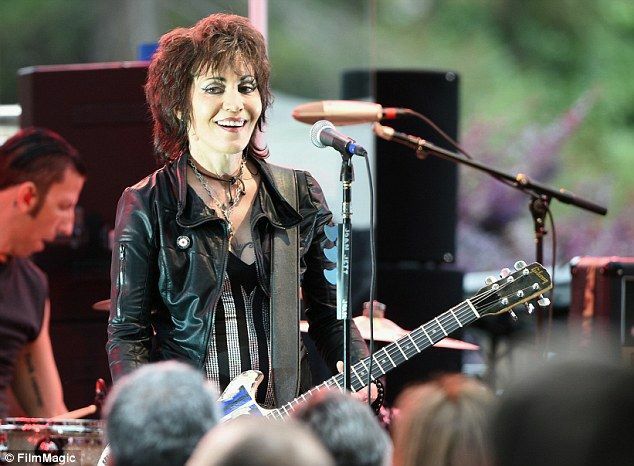 Iconic singer Joan Jett, 57, performed with her group, Joan Jett & The Blackhearts, for the evening. The I Love Rock ‘n’ Roll vocalist wore a black-and-white striped top and a leather jacket. She made sure to sport her signature, trademark hairstyle. Founder of the Who, Roger Daltrey, and lead guitarist Peter Townshead, 71, took the stage as well, but were also the evening’s hosts. 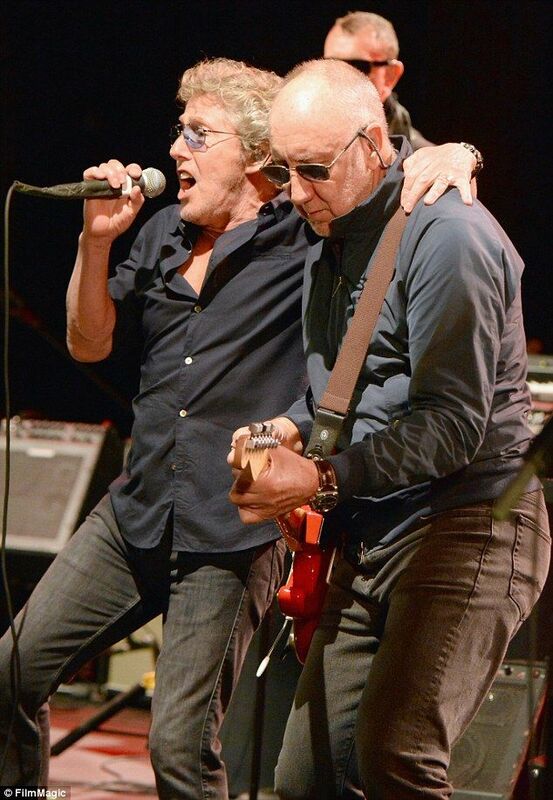 Roger Daltrey and Pete Townshend rock out on stage. Both a live and silent online auction took place, and featured various autographed items according to Rolling Stone. Click here to read more about the auction. Article written by Brittany Valadez. For more photos, click here.